Mzee Moyo's Expulsion: Why CCM has miscalculated this! Mzee Hassan Nassor Moyo is a revered Zanzibari statesman. This veteran politician embodies Zanzibar's history - a history of struggle and revolution. 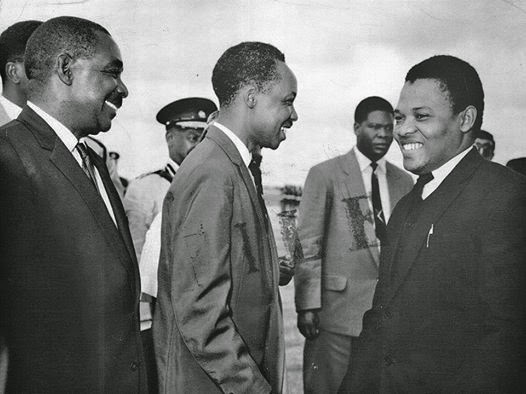 He was an instrumental figure during the days of the 1964 revolution and was a key man in the merger between the Afro Shirazi Party (ASP) and Tanganyika African National Union (TANU) to form present day Chama cha Mapinduzi (CCM). Mzee Moyo, as he is fondly known also embodies the reconciliation efforts in Zanzibar that led to the formation of the Government of National Unity in 2010. I met him last year at his colleague's house in Zanzibar. He was full of apologies because he came in late. It was past the Ramadhan month, but he told my colleague and I that he was still fasting to make up for the time he had lost. He said he just came from Muscat were he was on holiday. We greeted him with the customary Salaam Aleikum greeting. As he sat down on the comfortable leather coach, he wanted to know my name. I duly introduced myself to him and he quickly made a joke. "You must be from Kilimanjaro" I laughed and he joined in the laugher. His colleague offered us a drink and we sat down to listen to his wise counsel. He was measured in his responses not loquacious like his colleague. He paused and answered our questions in a subtle manner. His calm demeanour was exemplified by his responses. This week, Mzee Moyo has been in the news. He has just been expelled by CCM. CCM claims that he has betrayed the party by openly supporting a three government Union format. CCM as a party believes and advocates for a two-government Union. Mzee Moyo has also been accused of attending rallies organised by the opposition CUF and openly showing his support for Maalim Seif Shariff, the CUF leader in Zanzibar. His expulsion from CCM come a year after Mansour Yussuf Himid, the former legislator for Kiembesamaki was also expelled. 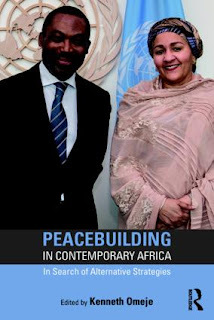 Mansour has since joined CUF and is now a key political strategist for Maalim Seif. When asked about his expulsion Mzee Moyo said "CCM is not my father or mother". Mzee Moyo was instrumental in the Maridhiano (reconciliation) agreement that ushered in the GNU in 2010. He served as the chairman of the Moyo Committee of Six, which Mansour was a member. His stand on the Union format is also supported by many CCM stalwarts in Zanzibar who are afraid of the fate that has now befallen Moyo and Mansour. With the elections in October, the decision to expunge Mzee Moyo from the party will be bear great ramifications. There is no doubt that the reconciliation spirit that oozed in the wake of the GNU formation is not there anymore. The old divide that characterised Zanzibari politics is back. Reminiscent of this is the recent torching of CUF party offices in Dimani constituency. There is an apparent attempt to flare up the schism in Zanzibar ahead of the general elections. Mzee Moyo has stated that he is not looking to join any other party despite his expulsion from CCM. He continues to reiterate that he will fight for Zanzibari interests which he says include a three-government format and more autonomy for Zanzibar. The decision by CCM to oust him will no doubt have some implications. Mansour was earlier this year quoted in DW radio stating that CCM -Zanzibar has always used the racial card to divide the people of Zanzibar. His public utterances on what he calls 'siri kubwa za chama' (top secrets of the party (CCM) make the general elections in Zanzibar interesting.